Yesterday was our first day at Koshari Street, an Egyptian inspired vegetarian street food experience, and it was a great day. Everyone loved our koshari except for a few hardened souls (actually two and both male) wanting meat. 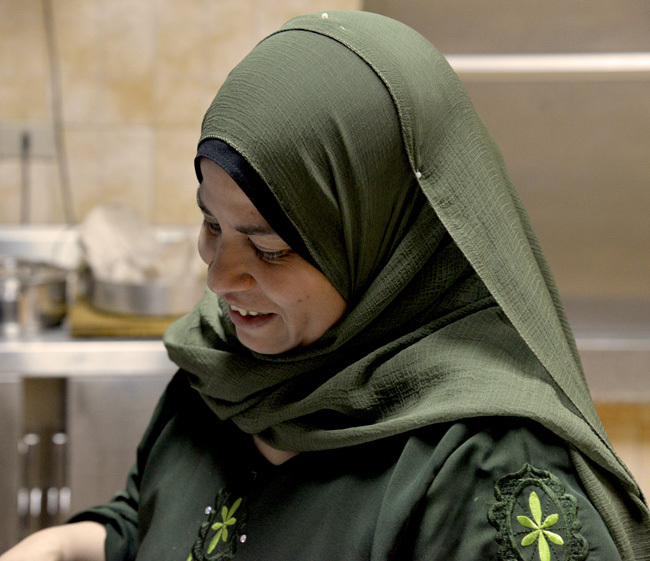 So, I thought I’d do a post on Cairo butchers. Perhaps our next concept will be inspired by them. Or perhaps not. In any case, for those who crave meat there is plenty of it on the streets of Cairo and in particular all around the beautiful Al-Hussein mosque. 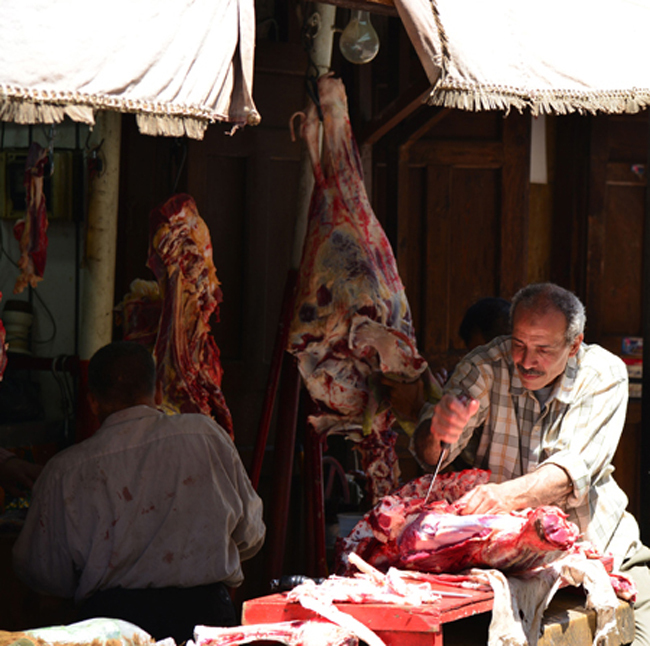 It doesn’t take very long before you come across butchers hard at work like the one above, butchering their beef, lamb or camel carcasses in full view of passers-by.